This new bridge over Yinjiang Road is an overpass for pedestrians. It’s not as yet operational as the workers have not finished painting. It’s just one of the many things to see in China. Here, there’s construction going on everywhere you go. 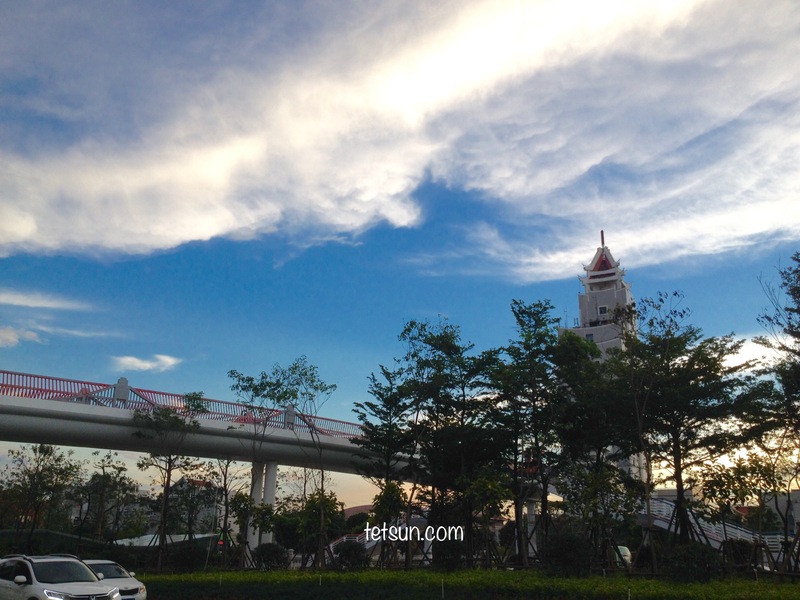 Jimei Bridge, completed in 2008, has a total length of 10 km. 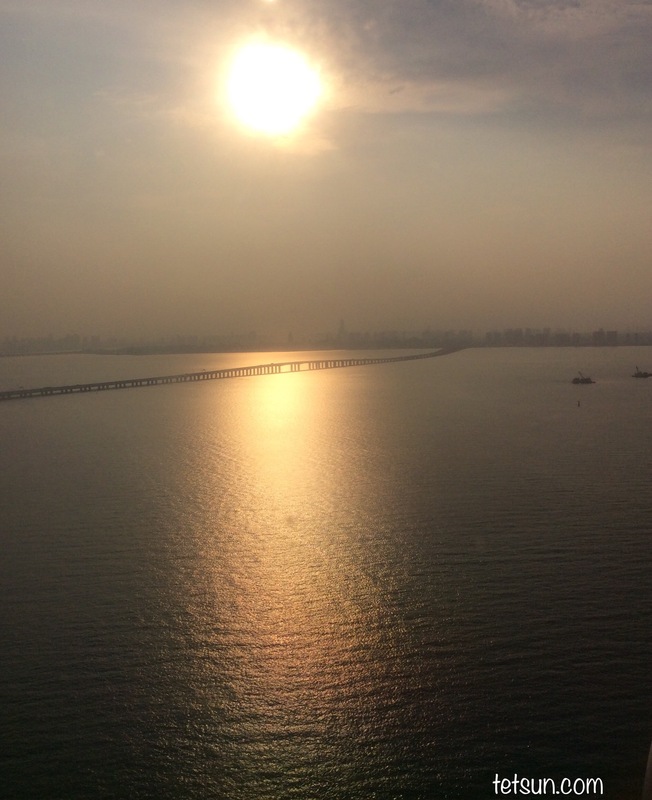 It connects Xiamen Island to the mainland at Jimei District. This is one of my favorite photos and also the one that received the most likes in this blog so far. I took this photo as the plane from the Philippines was about to land. I left home to come to my second home. And this bridge will get me there.